CRU is pleased to announce the launch of a new website we have developed as part of our NDIS Participant Readiness program. 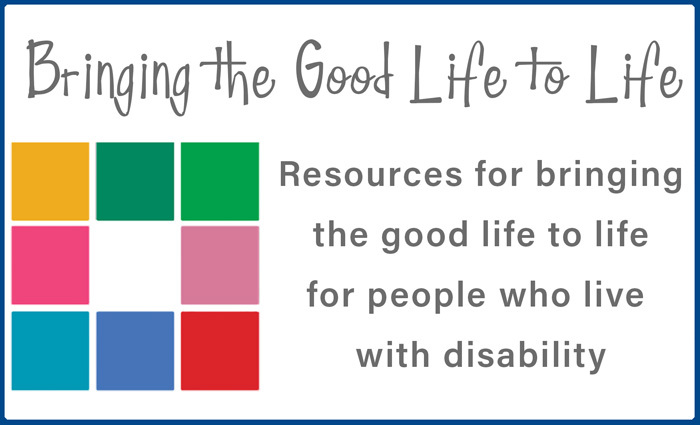 Titled ‘Bringing the Good Life to Life’, this website has been created as a resource for people with disability and their supporters, both paid and unpaid. Our idea was to create a website that explored what makes a Good Life and some of the things that can be done to create and sustain this for a person with disability. We have gathered some great content that already exists on this topic and created some new resources that highlight key ideas and share the wisdom of others. By following the links you can see where the resources have come from and continue your own research. As well as resources from around the world we have highlighted local resources that are relevant to the Australian and Queensland context. We trust that this means there will be a mix of familiar concepts, old favourites and new resources that will be of interest to everyone that CRU is connected with.